The 26th Epcot International Flower and Garden Festival has burst into bloom at the Walt Disney World Resort filling the park with the sights, sounds, and flavors of Spring daily until June 3, 2019. 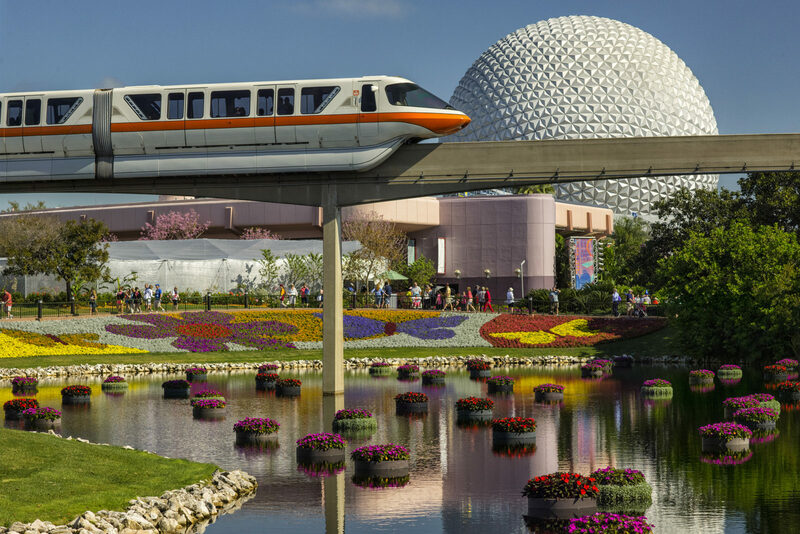 During the Epcot International Flower & Garden Festival breathtaking flower beds, plots of plant life, and wildlife habitats can be found in every area of the park. From Bonsai trees to butterflies, there’s a bounty of displays ready to capture your family’s attention and imagination. 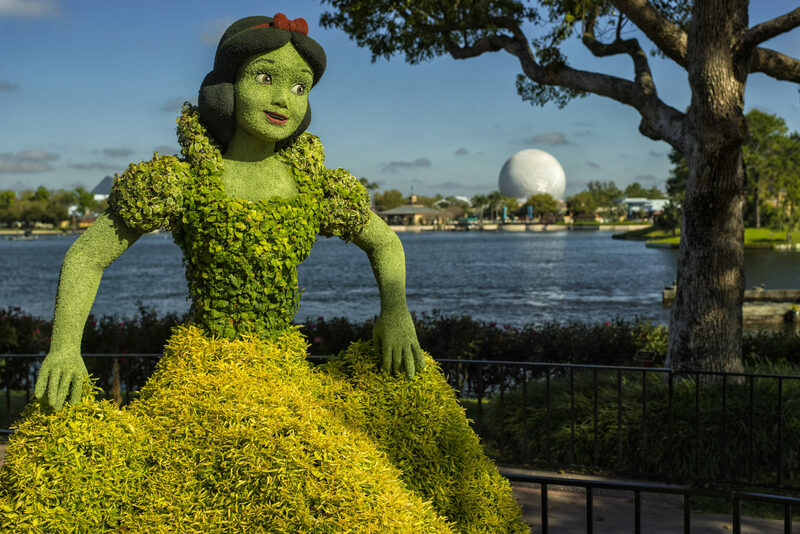 This year scattered around the park, 70 Disney-crafted topiaries have been created by the talented crew of Disney horticulturists. Step off the beaten Festival path to experience two new whimsical play gardens with fun, hands-on activities and interactive play scapes. Bo Peep’s Playtime Training Grounds, located near Test Track, is a playful playground and garden inspired by Bo Peep and the rest of your Toy Story pals. The Play Full Garden, located on the Imagination Walkway, will inspire the entire family to gather for interactive activities that focus on nutrition and wellness. 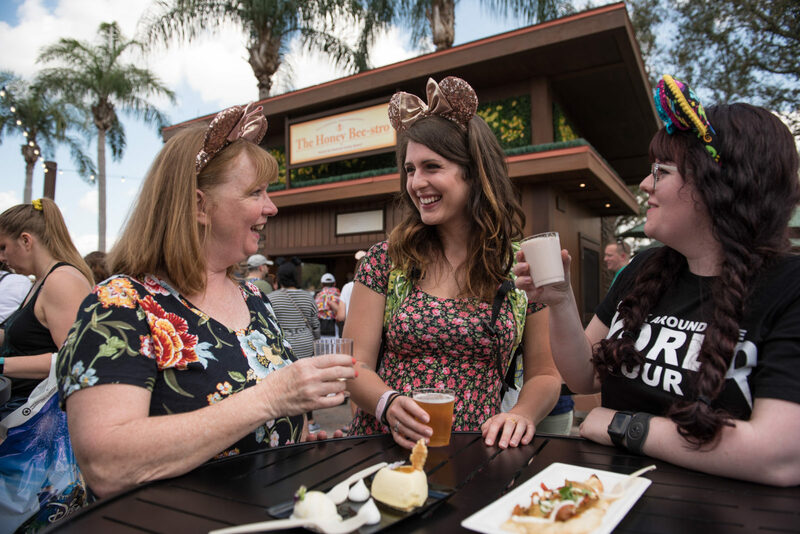 As festival-goers take in all the floral wonders of the Festival, they can also find culinary delights at over a dozen Outdoor Kitchens around Epcot’s World Showcase. The Outdoor Kitchens open at 11am, and just outside of each location a garden offers inspiration for learning to grow healthy ingredients. The popular Garden Rocks Concert Series will rock every evening of the festival with three performances by chart-topping artists on the America Gardens Theatre Stage. April 3 through 4 – Christopher Cross – NEW to Garden Rocks! April 10 through 11 – John Michael Montgomery – NEW! April 12 through 13 – Sister Sledge – NEW to Garden Rocks! April 17 through 19 – Sister Hazel – NEW to Garden Rocks! April 20 through 21 – Steven Curtis Chapman – NEW! April 22 through 23 – TobyMac – NEW! May 8 through 9 – A Flock of Seagulls – NEW! May 10 through 11 – Marshall Tucker Band – NEW to Garden Rocks! May 12 through 13 – Peabo Bryson – NEW! May 14 through 15 – Richard Marx – NEW to Garden Rocks! May 20 through 21 – Colin Hay of Men at Work – NEW! May 22 through 23 – War – NEW! June 2 through June 3 – Eddie Palmieri – NEW! Additionally, guests can enjoy breakfast, lunch and dinner at 15 popular Epcot restaurants with guaranteed seating for a nightly concert with a Garden Rocks Dining Package. Dining packages can be booked by calling (407) WDW-DINE. Guided tours are available for guests interested in learning more about nature’s magic exclusively during the Festival. The Royal Tea Garden Tour, presented by Twinings, takes place each festival morning at the United Kingdom Pavilion, and guides guests through the tranquil tea garden to learn the history and artistry behind growing and blending tea. 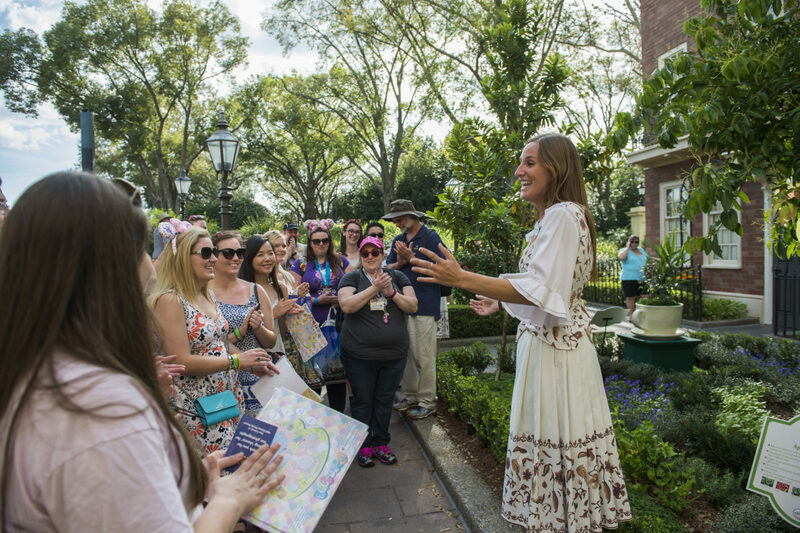 The Gardens of the World tour, offered on select days, lets guests join a Disney horticulturist for a three-hour walking tour to explore the festival gardens and topiaries discovering new plant materials and gardening techniques to use in their home gardens. Epcot admission and a fee are required to join these tours. To make a reservation, call (407) WDW-TOUR. Gardeners of all ages are invited to participate in Spike’s Pollen-Nation Exploration family scavenger hunt through the garden pollination trail on a search for Spike’s best blooms as he pollinates flower beds across Epcot. The botanical-happy hunt begins by purchasing a map at Port of Entry for $6.99 plus tax, then continues with a visit to each World Showcase pavilion. The Epcot International Flower and Garden Festival, including all gardens and exhibits, is included in regular Epcot admission.